Dad of 4, Harry Wallop, ponders whether it’s worth it as he shells out for the ultimate family experience. Easter holidays. The time when Britain’s stately homes and theme parks emerge blinking from their winter hibernation, open their doors and ask us to open our wallets. In our household, this is when we take a trip to Legoland Windsor, Chatsworth or Warner Brothers Studio Tour – The Making of Harry Potter. The idea, somehow, is that a day out costs considerably less than a week’s holiday somewhere sunny. I’m not sure how we came to this conclusion. Because a day spent at many theme parks or leisure attractions in Britain could buy you an aeroplane ticket to the other side of the world. It is not the entry fee that I object to. In some cases, they are almost reasonable. The Harry Potter studio tour is £132 for a family ticket – two adults and two children – and you get to see an awful lot of stuff: how they filmed the quidditch matches, real sets and the genuine costumes and props. For Harry Potter fans, it really is worth a visit. It may be pricey, but when I was growing up there was nothing as exciting as this. Clacton-on-Sea was the closest we got to Hollywood razzmatazz. No, it’s the added extras that really stick in my throat and empty the bank account. Take Legoland Windsor, a great theme park for any family with youngsters (the 6-year-old thinks it’s awesome). The entrance fee for a family of four is £188 if you book in advance. On the gate it is £240. This is steep, but something many families are prepared to fork out for. ... a day spent at many theme parks or leisure attractions in Britain could buy you an aeroplane ticket to the other side of the world. But that is only the start. Every step of your day is an opportunity to squeeze another bit of revenue from you. Parking is £6, or £10 if you want ‘priority parking’ to be closer to the park. 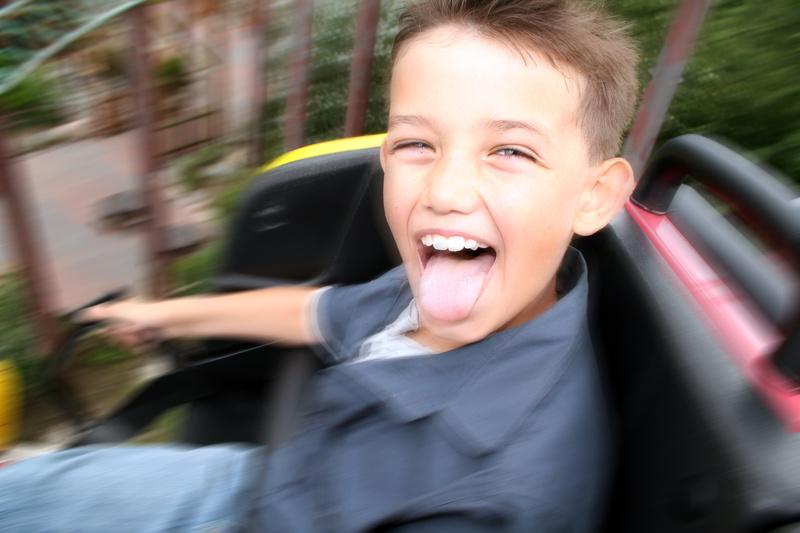 At the end of every ride there is the chance to buy a photo of you rushing down the log flume or lurching on the Viking boats – and that’s £10. Or perhaps you want to upgrade to a £30 family ‘digipass’, which allows you to buy any photos on the day. Get wet because you refused to buy a £3.50 poncho?Then you can pay £2 to dry off in a tanning-booth style hair dryer. But all these are minor irritations, tiny buzzing mosquitoes of annoyance, when compared to the hornets’ nest that is the “Q-Bot”, the most awful embodiment of insta-gratification culture that blights modern childhood. For those uninitiated, the Q-Bot is Legoland’s version of a device popular in many theme parks, so I don’t want you to think they are the sole villains here. They are gizmos that allow you to jump the queue. 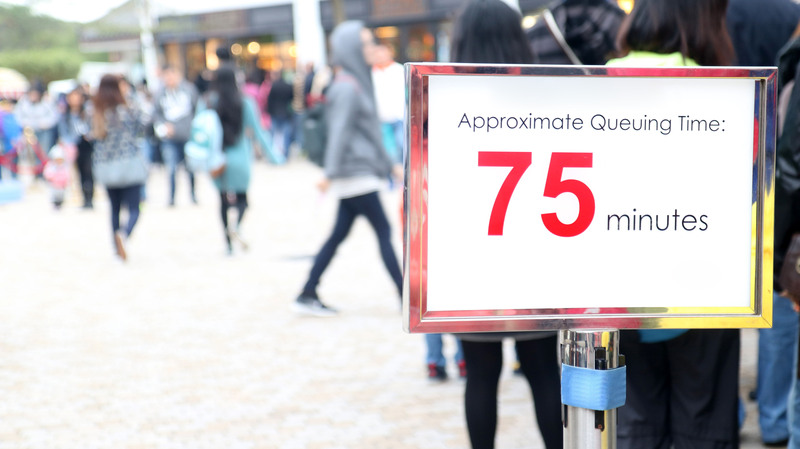 For £20, per person, you can rent one of these pager-style machines, which allow you to reserve a place at the front of the queue – be it in 15 or 90 minutes’ time. Meanwhile, you can go off and have your picnic. When your wait is up, your Q-Bot beeps. You enter via a separate gate and go straight to the front, incurring jealous glances from rival parents as you go. Get wet because you refused to buy a £3.50 poncho? Then you can pay £2 to dry off in a tanning-booth style hair dryer. But even within the queue-jumping chicanery, there are ways to get ahead. For £35 per person, you can upgrade to Q-Bot Express. This allows you to cut the wait time by half. And for £80 – per person, let’s remember – you can go for the full monty: Q-Bot Ultimate. This gets you to the front of the queue without any waiting whatsoever. So, for a family of four, after paying £188 entrance, you could end up paying a further £320 if you wanted a day with no hanging around in a boring old queue. £508 for a day out. Now, clearly you don’t need to sign up to any of this nonsense. But bearing in mind that some of the most popular rides have waits of 90 minutes, you can see why many parents are tempted. Why spend all that money to come to a theme park and then spend most of your day queuing? If you think these prices are eye-gouging, at Alton Towers the ‘Fastrack Platinum’ queue-jumping ticket is £95 per person. With the Q-Bot...you enter via a separate gate and go straight to the front, incurring jealous glances from rival parents as you go. It is not so much the seeds of division among the clueless and the queueless that I find so loathsome. It is that the system perpetuates the idea that there is no greater sin than boredom, that you can buy your way out of standing in line. I have no false nostalgia for a childhood full of ennui. But just occasionally I want my children to realise they have to wait for something.